Whenever you schedule a vacation, you just have to anticipate some terrific events will fall during the period to make you question your plans. There are a few such jazz gigs that I just have to cover my ears and miss. But you don't! 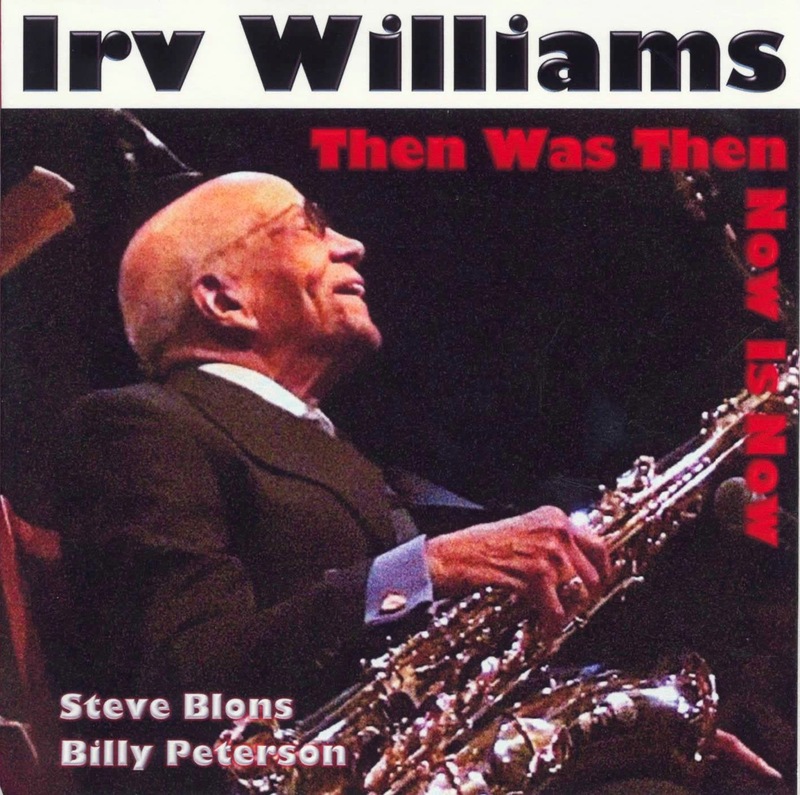 I will catch Irv Williams' 95th birthday celebration and CD release this weekend, and the LP release from Steve Kenny's Group 47 on Monday. And I will not have to choose between Red Planet and Tierney Sutton with Mark Summers since I will miss both; as well as the last (at least for a while) gig of the No Coast Quintet which means missing one of Brian Courage's last gigs as a Minnesotan, several of which take place in the next two weeks. Jazz Central continues to present live music at least five nights per week; Studio Z hosts All Originals every Thursday through mid-September; and the Black Dog seems to offer more and more jazz in its schedule of eclectic music. Note summer is when most concert series announce their new schedules. Friday, July 25. We hear somewhat less of Laura Caviani since the Artists Quarter closed, and her summers are typically busy with Interlochen, Shell Lake and other teaching activities. So consider this a special night at Jazz Central -- not only is Laura performing with her trio, tonight that trio includes special guests, bassist Bob Bowman from Kansas City and drummer Rich MacDonald from Winona State. 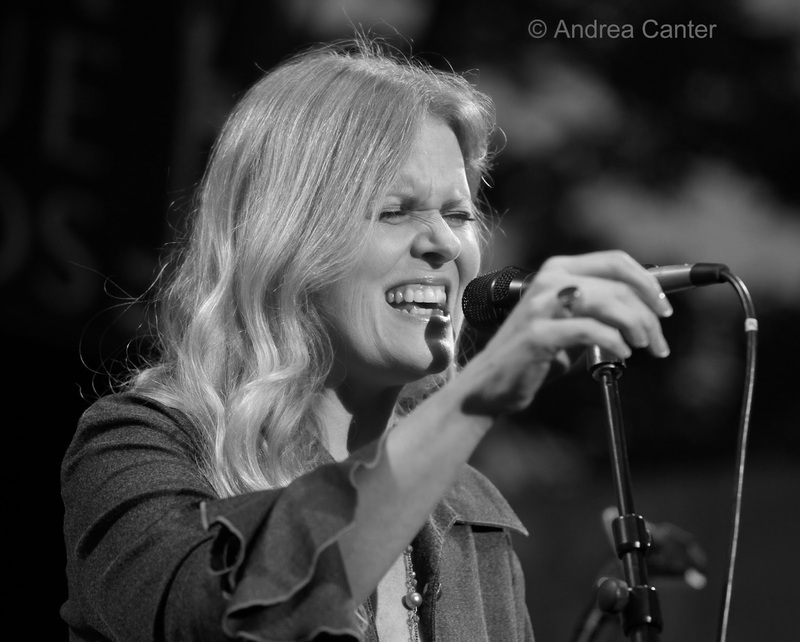 Bowman has frequently played with Laura and was featured on her acclaimed CD, Going There. The trio will play some tunes from that album as well as new works from Caviani and Bowman. Earlier in the afternoon, Laura will conduct a workshop at Schmitt Music (Southdale Square). 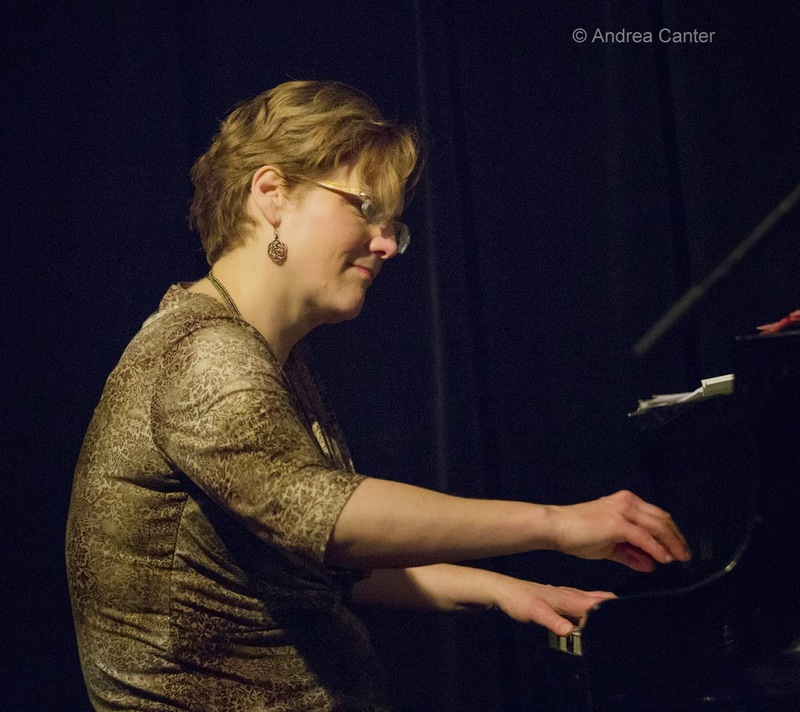 The Laura Caviani Trio plays the early gig at 7:30. 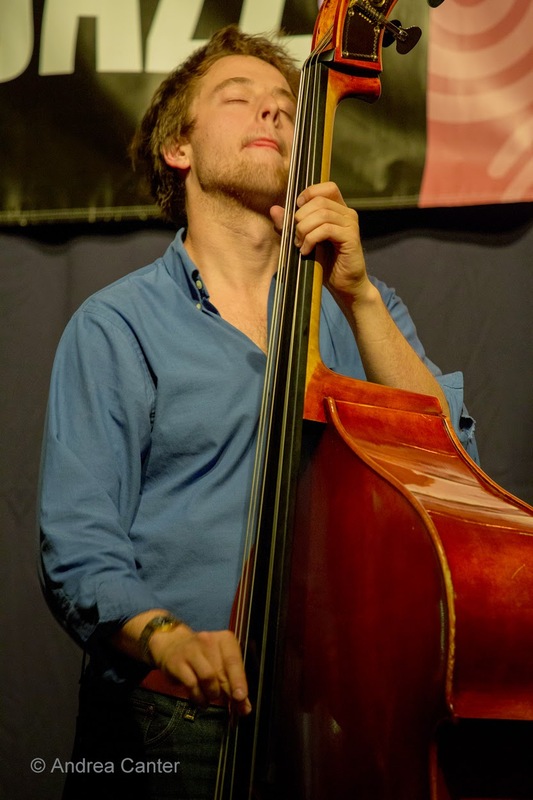 Stick around for the late show at Jazz Central with an exciting quartet led by bassist Ted Olsen, with Nathan Hanson on saxophones, Joe Strachan on piano and Miguel Hurtado on drums. This is one of the last opportunities to hear Olsen before he heads back for a final year at Northern Colorado. Always a fun evening -- Patty Peterson and Friends returns to the Dakota tonight, this time featuring special guest, brother Ricky Peterson. The rest of the cast includes Billy Franze, Bobby Vandell, Cory J. Wong and Kevin Gastonguay -- and that's quite a crew of "Friends." 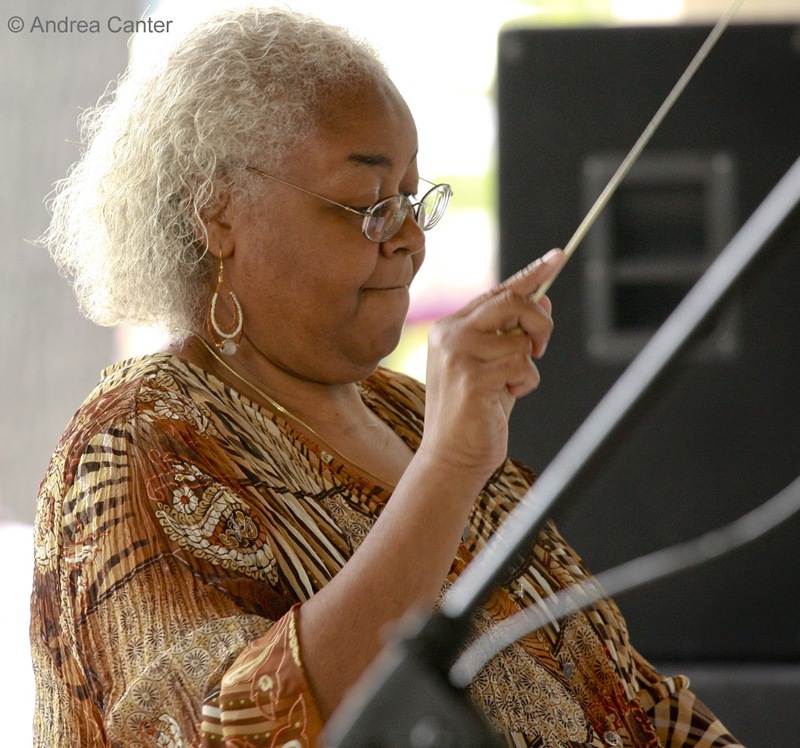 Meanwhile, sister Linda Peterson will be busy herself, singing and playing the piano with her trio at Parma 8200. And it's the Flow Northside Arts Crawl getting underway this weekend, and tonight you can enjoy a free performance of the Capri Big Band at the Capri Theater, led by Faye Washington and featuring a unique blend of area professionals, amateurs and students. Saturday, July 26. I've lost track of Irv Williams' retirement parties and "final" CD releases. 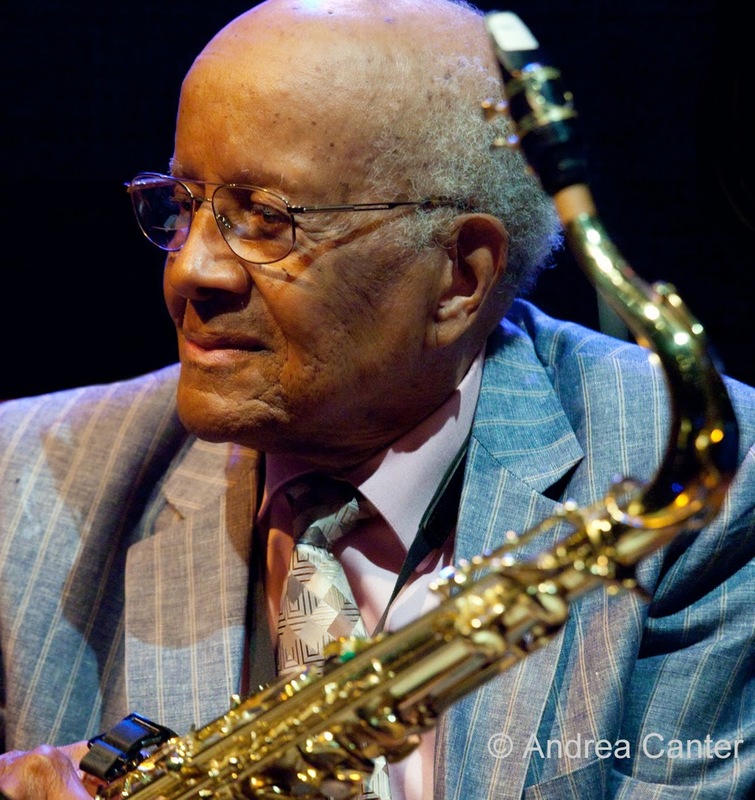 Now the word "final" seems to have been taken out of the equation as Irv prepares for his 95 birthday (early August) and the release of a new studio recording, aptly titled after the tune "Then Was Then, This Is Now." Back then, Irv was a swinging, soulful tenorman who could play any tune in any key and who backed the likes of Ella Fitzgerald, Mary Lou Williams and Billy Eckstine before settling in the Twin Cities in the 1940s. Now Irv has released a pile of recordings in the past decade, and still gigs weekly for Happy Hour at the Dakota, currently with guitarist Steve Blons and long-time pal Billy Peterson on bass. Discussing a possible archival collection of his recordings with Wells Piano co-owner and producer Jason Rupert, Irv decided it was time to record again, taking Blons into the studio for some informal musical conversations, and bringing in Peterson to add some basslines. The result is what you would expect from Mr. Smooth -- sweet! Celebrate with Irv tonight --if tickets remain-- at The Museum of Russian Art, with Steve and Billy. Sunday, July 27. A new venue, The Torch in Uptown, hosts a striking trio with Brian Courage, Erik Fratzke and Davu Seru. These three can take music anywhere, and they will. Monday, July 28. After about five years leading the early show band every Wednesday at the Artists Quarter, any fears that Steve Kenny would be "homeless" were unfounded. After reworking The Bastids quartet into the Group 47 quintet during the AQ's final months, Kenny found new opportunities at the Black Dog, Jazz Central, Studio Z and the Icehouse, where the band will celebrate it's first recording tonight, Straight to Vinyl. And it is on vinyl (and digital download) and it was recorded with the immediacy that the title implies -- just like a gig, no charts, no retakes, no redubs, just "straight to vinyl." Kenny has long gathered a flock of young lions to back and challenge his "flumpet" --saxophonist Thomas Strommen, pianist Will Kjeer, bassist (and recording engineer) Adam Tucker, and drummer Alex Burgess. The album is all original compositions, which will be on the set list at the LP release party. Tuesday, July 29. Fifth Tuesdays are special on the Big Band series at Jazz Central -- it's time for the Acme Jazz Company! With one of the largest sets of original charts among U.S. bands, Acme honors the famed big bands of the past with their own modern twist. The band, launched in 2008, is directed by saxophonist Doug Rasmussen, usually at O'Gara's on the first Mondays of the month. Their credits include the Twin Cities Jazz Fesival, Jazz on the Prairie Festival and a number of area parks and performance centers. Wednesday, July 30. Wednesdays at Jazz Central are set aside for "new music," e.g., new ensembles, new compositions -- stuff we haven't heard. 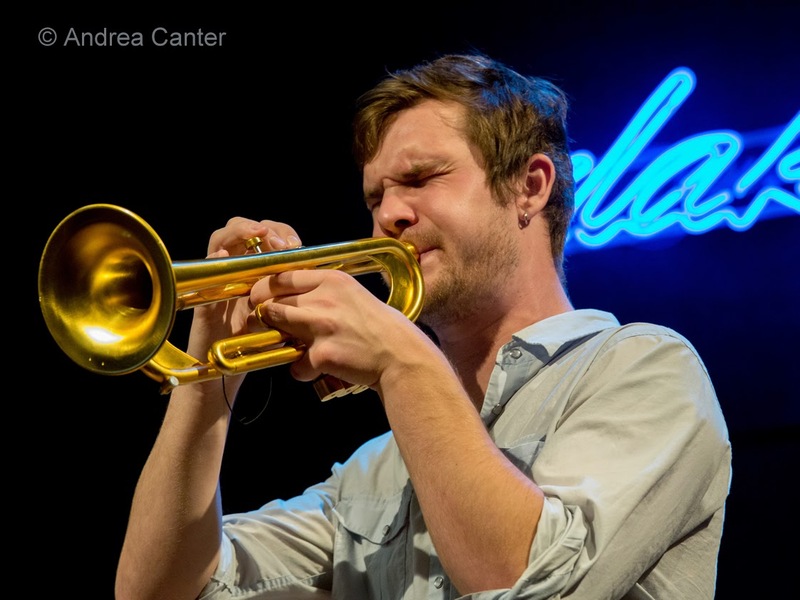 Among the younger proponents of such new sounds are trumpeters Cameron Kinghorn and Jake Baldwin. 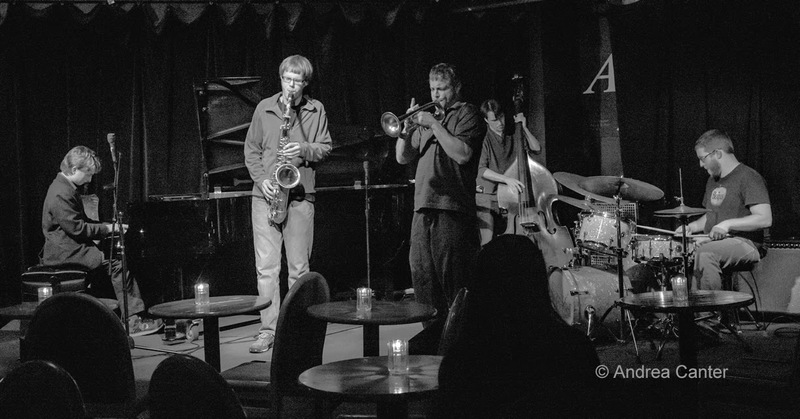 Dubbed Kinghorn/Baldwin Inc., this ensemble features Kinghorn on vocals, Baldwin on both trumpet and trombone, Ted Godbout on piano, Matt Peterson on bass and Andres Crovetti on drums. Melding jazz and soul influences, the band repertoire includes new takes on jazz and soul standards and some original compositions. Thursday, July 31. This is an amazing way to end the month. Take your pick: At the Dakota, the very talented and creative vocalist Tierney Sutton returns in the exciting company of Turtle Island Quartet cellist Mark Summers, performing Joni Mitchell tunes from Tierney's Grammy nominated After Blue (which featured Mark and fellow TISQ musicians); they will also tackle some arrangements of standards and Mark's solo repertoire. 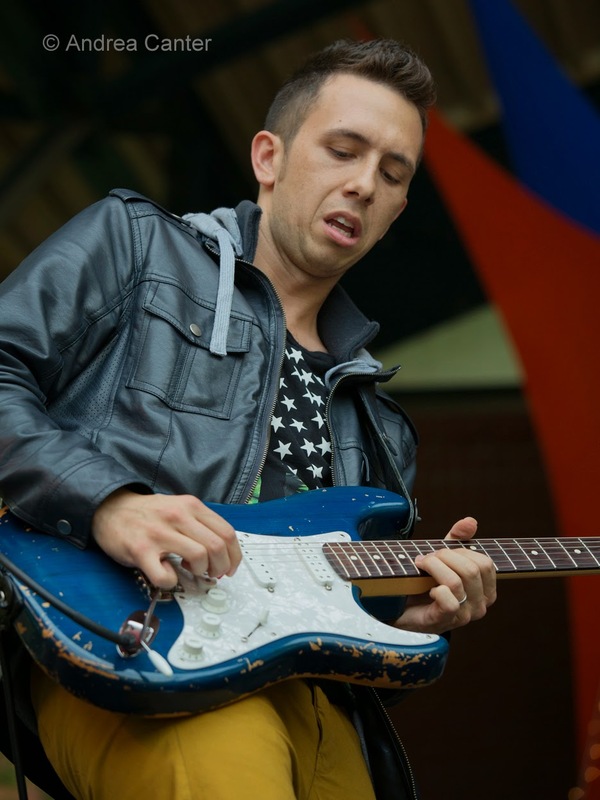 Joining them will be Parisian guitarist Serge Merlaud. At Jazz Central, another vocalist we hear far too seldom, Judi Donaghy Vinar joins forces with swinging pianist Rick Carlson for a night of pure delights. Instrumental music is on full display as well, with Red Planet performing All Originals at Studio Z, the fourth installment of the All Originals series that runs through mid-September under the curatorship of Steve Kenny. 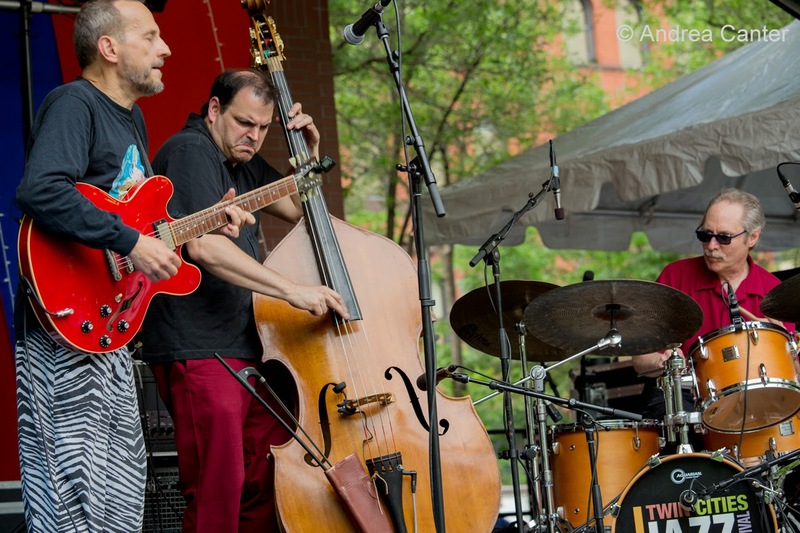 With Dean Magraw, Chris Bates and Jay Epstein, this ensemble has been cooking great music for more than a decade, including their recent Main Stage performance during the Twin Cities Jazz Festival. 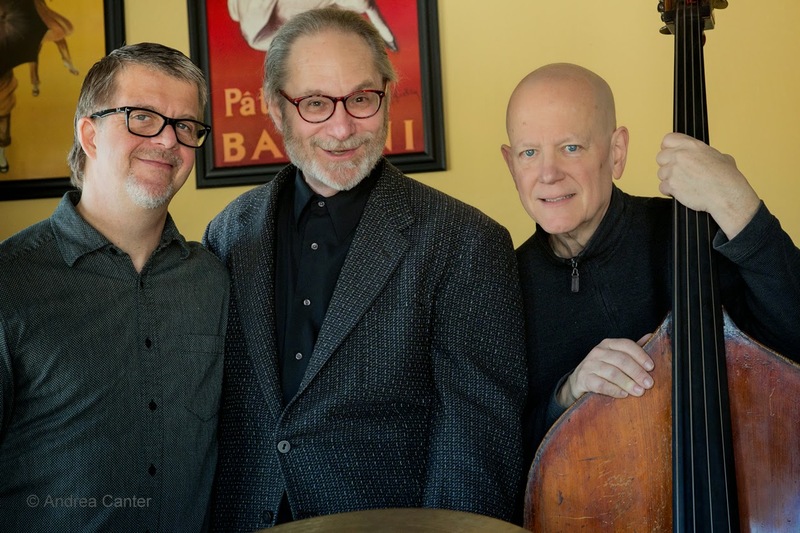 And if you are seeking something really new, check out the newly formed ensemble Trioleo, debuting at the Black Dog, with Joel Shapira, Bruce Heine, and Dave Schmalenberger. Two-thirds of the once popular Triplicate, Trioleo promises "original tunes and jazz explorations on classic material." Friday, August 1. Brian Courage begins his final month of Twin Cities gigs as a Minnesota resident before heading to his home town--New York. 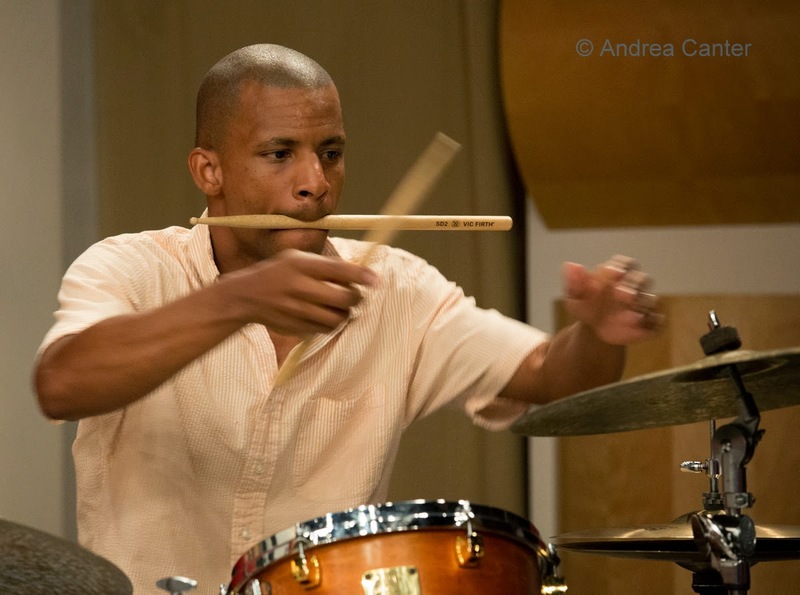 Tonight is a finale with the No Coast Quintet, a band of like-minded young lions, including Nelson Devereaux, Jake Baldwin, Lars-Erik Larson, and the one 30+ veteran Zacc Harris, performing on the Bridge Series at Jazz Central. Saturday, August 2. Studio Z, home of the area's most inventive music, hosts Dennis Gonazáles' Hymn Project, part of the Crow with No Mouth series produced by Jesse Goin. Poet, linguist, painter, teacher and musician, trumpeter González has been performing and recording for over three decades. He is the founder of an organization (Daagnim) similar to AACM for the Dallas scene. His hymns are based on American, South African and Norwegian religious melodies. 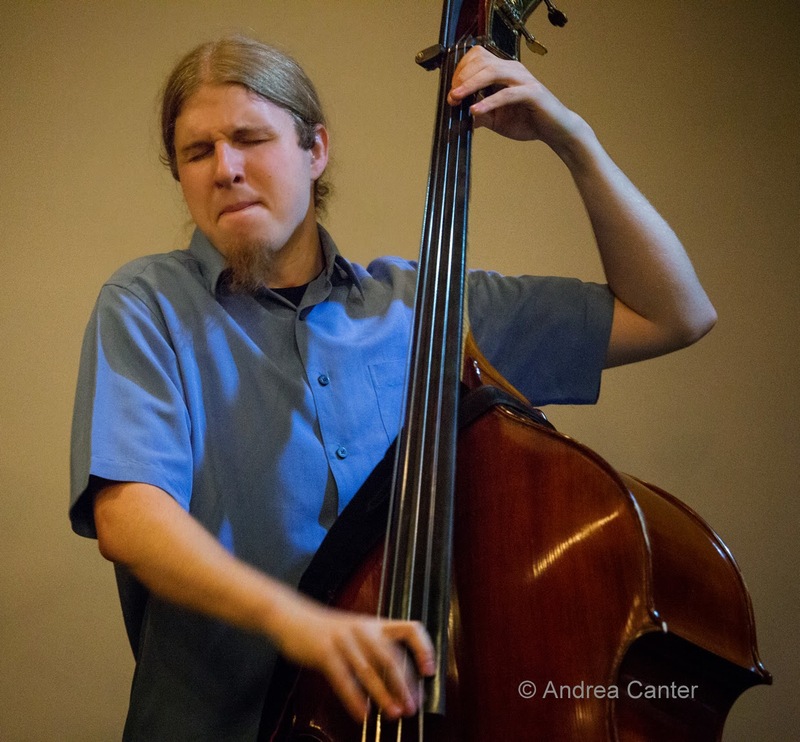 At Studio Z, he presents new arrangements with local improvising giants Chris Bates, Brandon Wozniak, Nathan Hanson and Pete Hennig. Sunday, August 3. An unusual evening of music ("Six Families") at Hymies Records on Lake Street adds to the final gigs featuring Brian Courage as a Twin Citian, starting with a solo set from Brian; a set of trumpet duets with Noah Ophoven-Baldwin and TBA partner; a bass clarinet trio with Jon Davis, Matty Harris and Nelson Devereaux; and closing with a set from Courageous Endeavors (Courage, Devereaux, Joe Strachan and Miguel Hurtado). Monday, August 4. 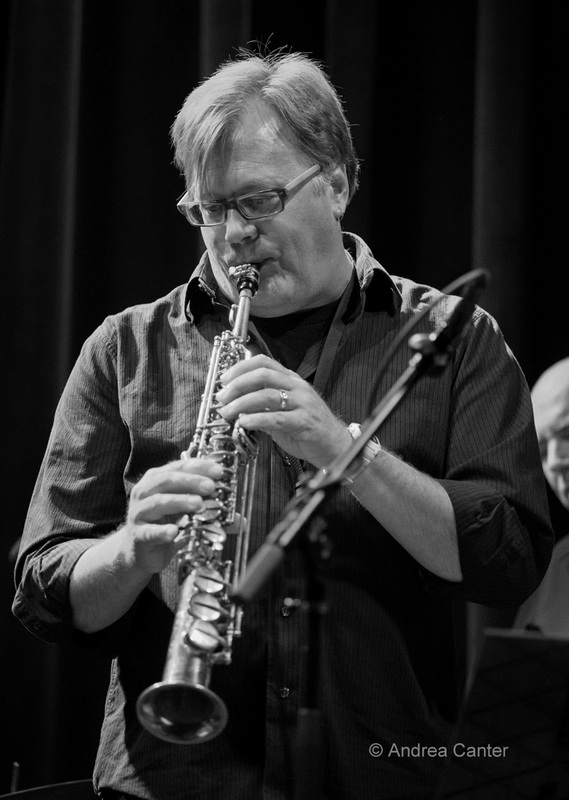 JT's Jazz Implosion tonight features a stellar quartet of Chris Thomson, Bill Bergman and the brothers Bates (Chris and JT). Tuesday, August 5. First Tuesday means Dean Magraw and Davu Seru mix it up at the Black Dog tonight. Wednesday, August 6. 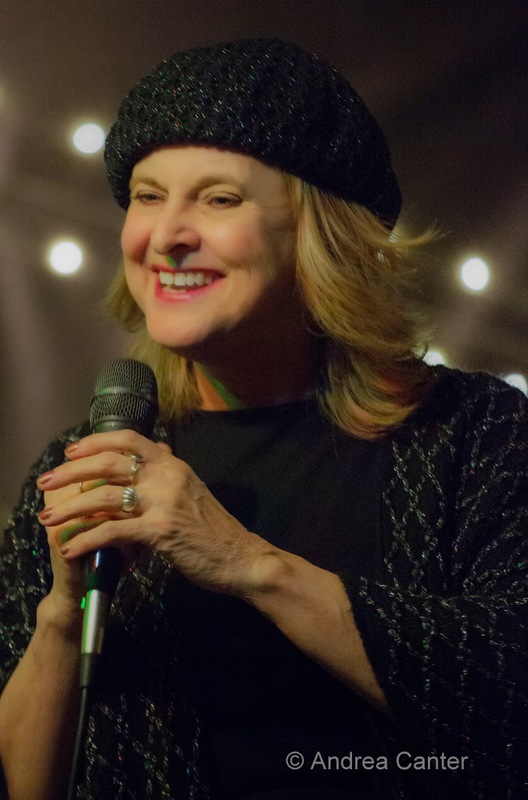 Two veteran singers who know their way around a jazz band are on stage tonight: Sue Oatts engages with the Wolverines Trio at Hell;s Kitchen, while Lila Ammons and her trio take off at Tangiers. Thursday, August 7. If my mom was in here in the Twin Cities, I would take her out tonight for her 92nd birthday for an evening of songs with Dorothy Doring at Jazz Central. Dorothy's wide range, from Gershwin and Ellington to more contemporary and hip tunes appeals to all ages. Over in Saint Paul, the All Originals series at Studio Z continues with Mississippi, a quartet that evolved from Andres Prado's quintet after Andres returned to Peru. 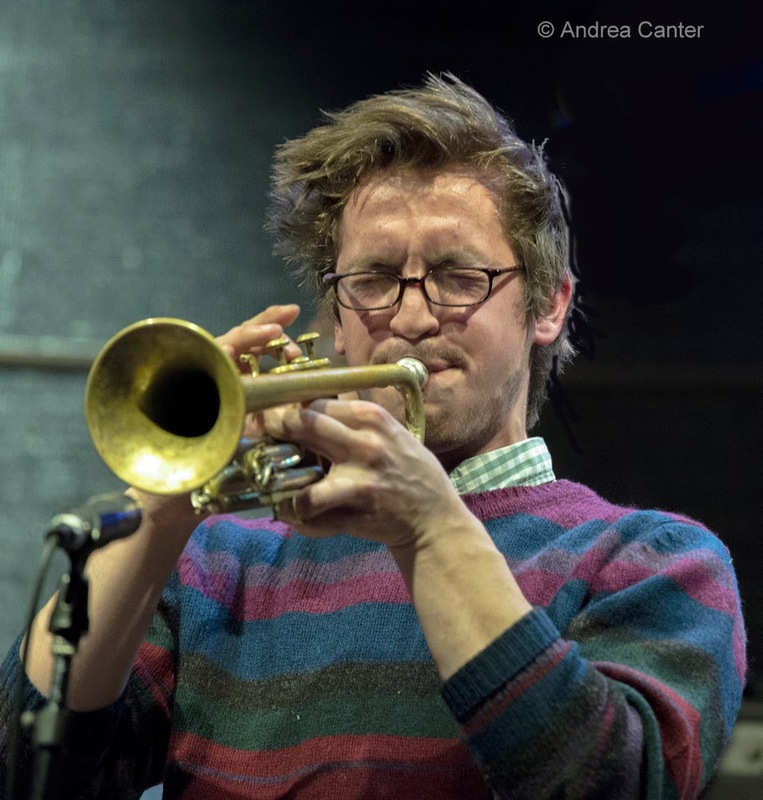 He left behind Pete Whitman, Peter Schimke, Jeffrey Bailey and Kevin Washington to carry on his inventive interpretations of Coltrane, Coleman and original compositions, which will be featured tonight. A special treat at the Dakota tonight-- pianist Benny Weinbeck and his renowned trio (Gordon Johnson and Phil Hey) take a break from their Saturday night gigs at Parma to come downtown for an evening of inspired standards and more.